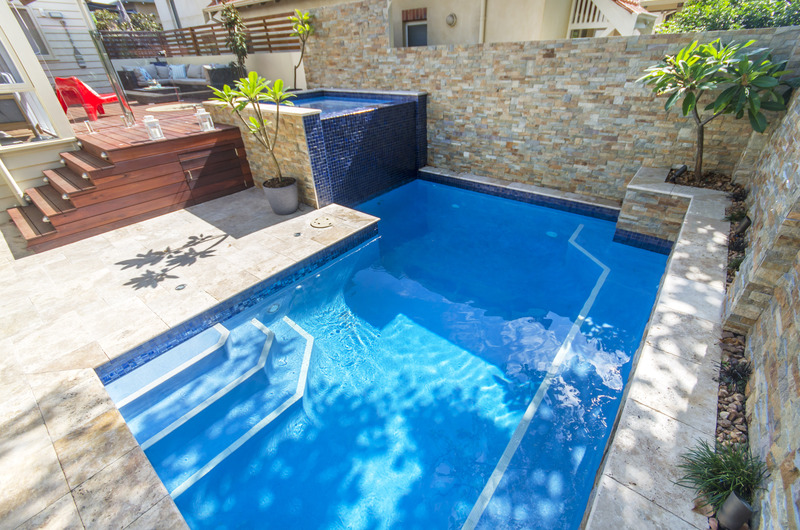 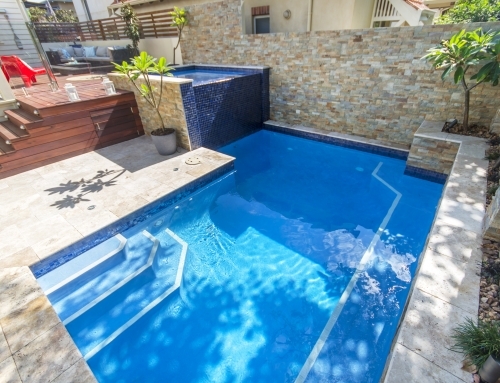 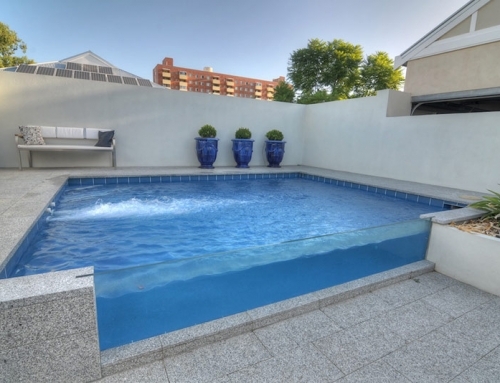 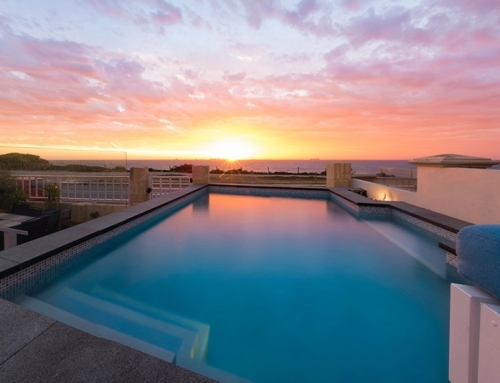 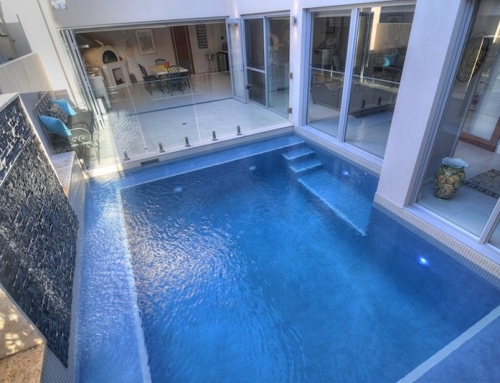 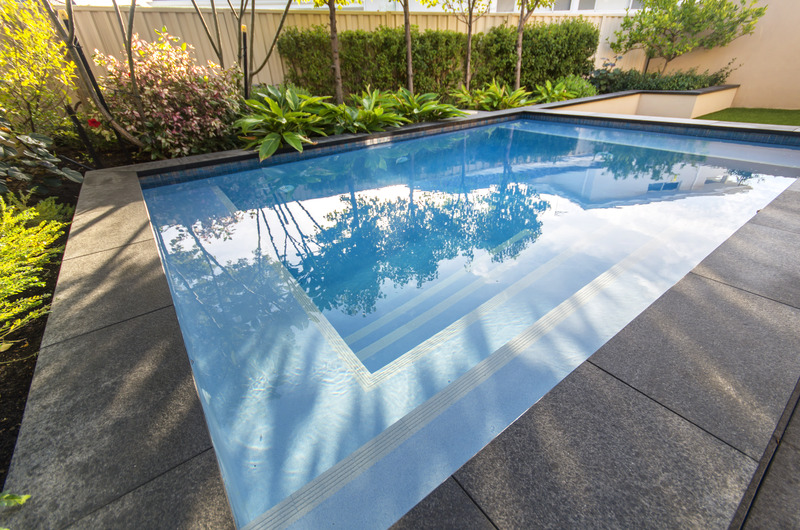 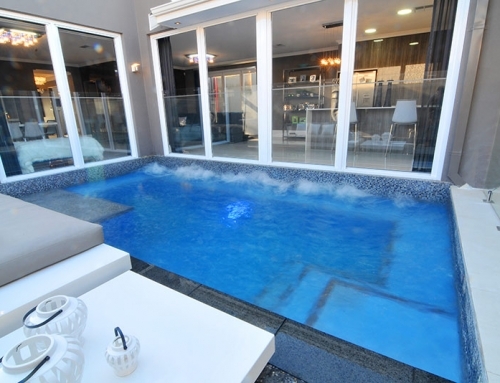 The contemporary style of the residence dictated a symmetrical minimalist design for this elevated plunge pool. 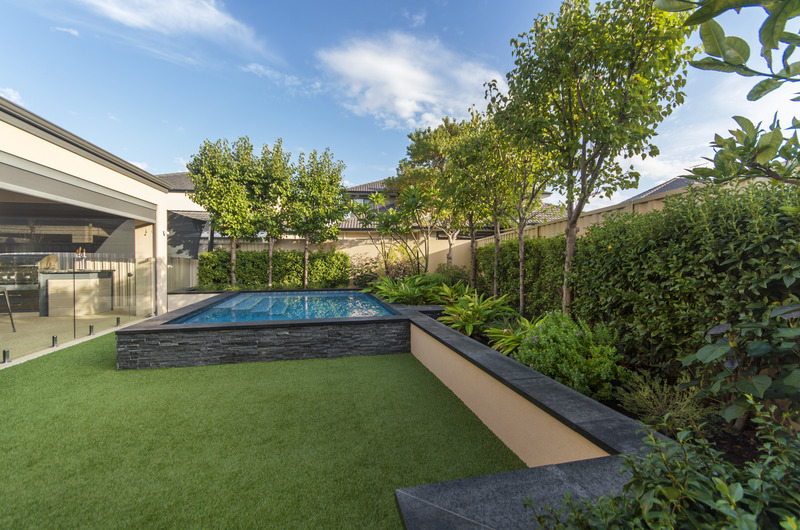 Careful planning was required to ensure we did not disturb plants gifted by their late parents that were of high sentimental value to our clients. 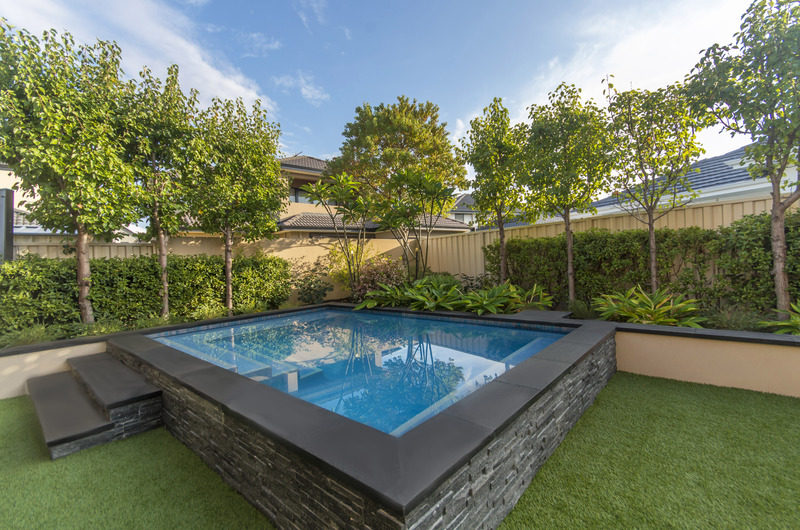 The mirror effect of the entry steps is a unique feature and large format slate granite coping is perfectly matched with the external cladding. 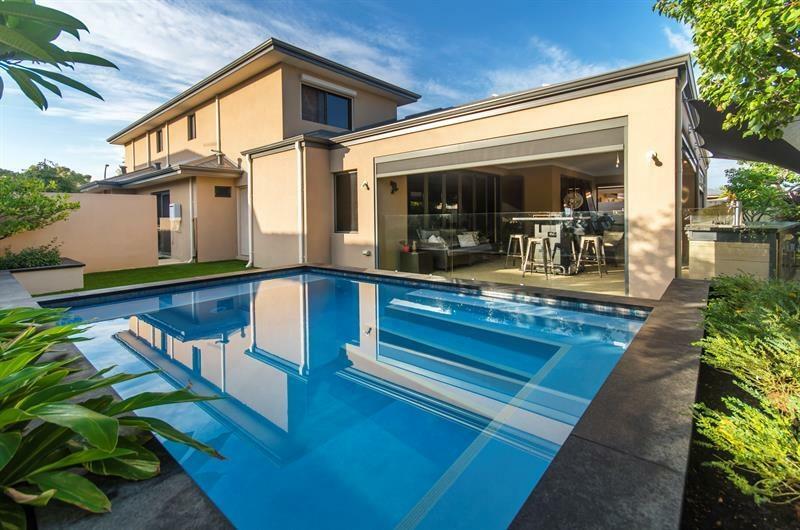 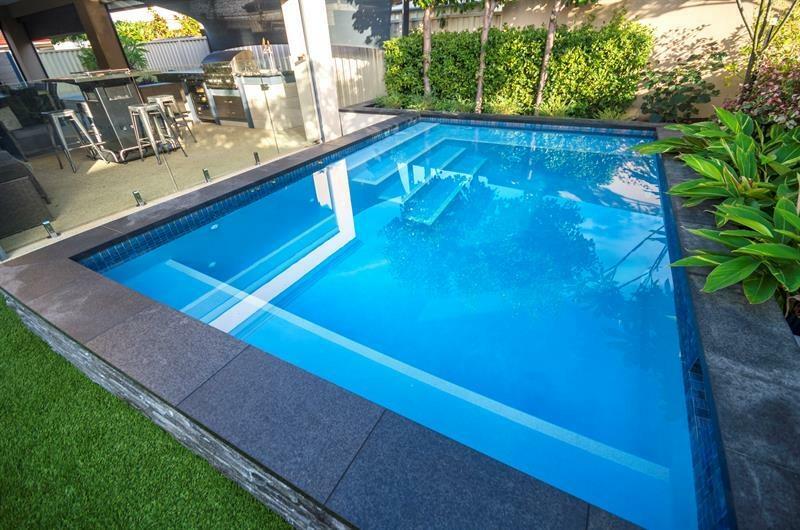 Frameless glass fencing to the alfresco area ensures uninterrupted views, bench seating beckons you to sit back and relax in the pool soaking up the ambiance of being surrounded by the formal garden style.